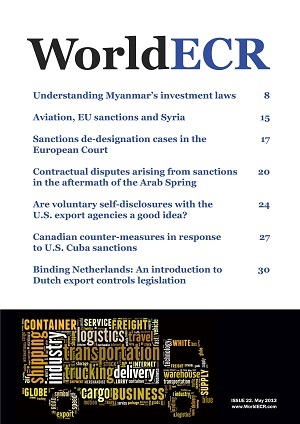 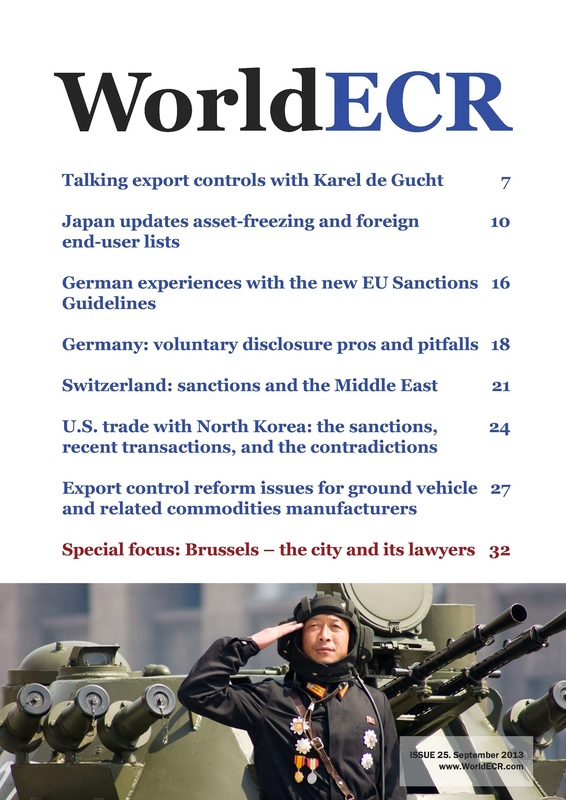 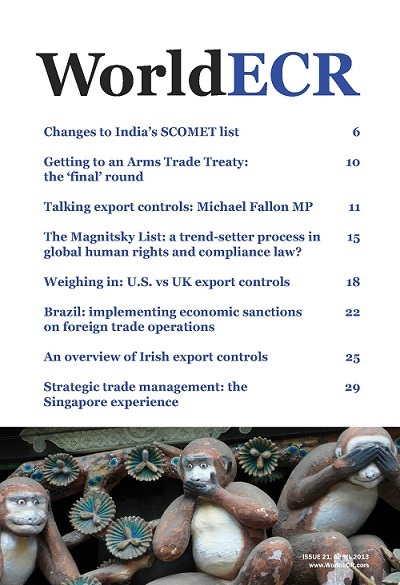 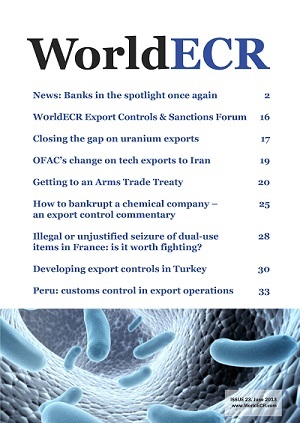 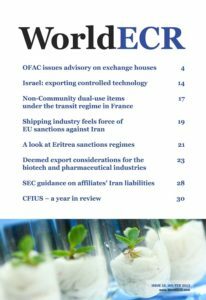 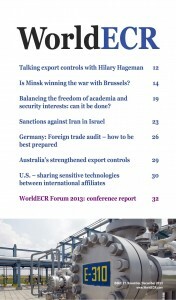 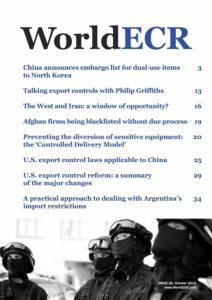 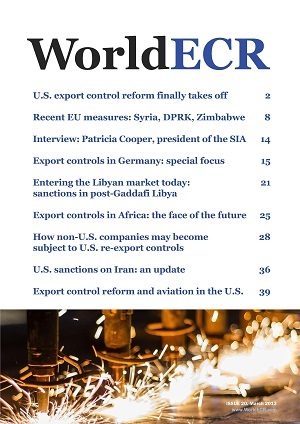 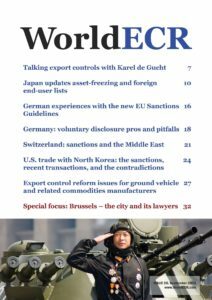 Sanctions against Iran in Israel; Germany: Foreign trade audit – how to be best prepared; Australia’s strengthened export controls; Is Minsk winning the war with Brussels? ; Balancing the freedom..
U.S. export control laws applicable to China; U.S. export control reform: a summary of the major changes; A practical approach to dealing with Argentina’s import restrictions; China announces..
German experiences with the new EU Sanctions Guidelines; Germany: voluntary disclosure pros and pitfalls; Switzerland: sanctions and the Middle East; U.S. trade with North Korea: the sanctions,..
New York DFS looks at non-U.S. reinsurers’ compliance with Iran sanctions law; Export compliance clauses: a strong enough shield against the U.S. 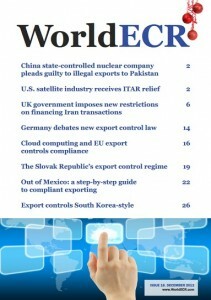 government? 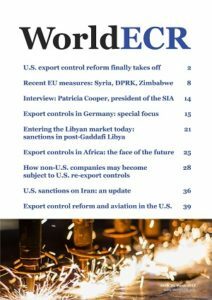 ; U.S. 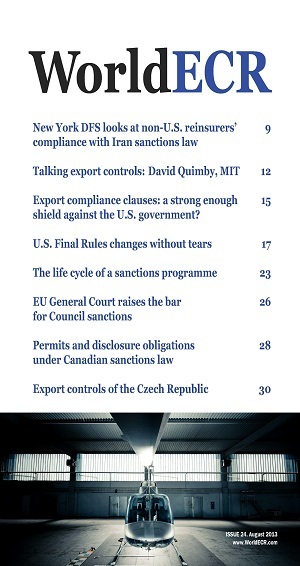 Final Rules changes without..
OFAC’s change on tech exports to Iran; Getting to an Arms Trade Treaty; How to bankrupt a chemical company – an export control commentary; Illegal or unjustified seizure of dual-use items in..
Sanctions de-designation cases in the European Court; Contractual disputes arising from sanctions in the aftermath of the Arab Spring; Are voluntary self-disclosures with the U.S. export agencies a.. The Magnitsky List: a trend-setter process in global human rights and compliance law? 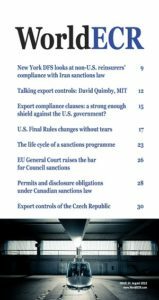 ; Weighing in: U.S. vs UK export controls; Brazil: implementing economic sanctions on foreign trade operations; An.. 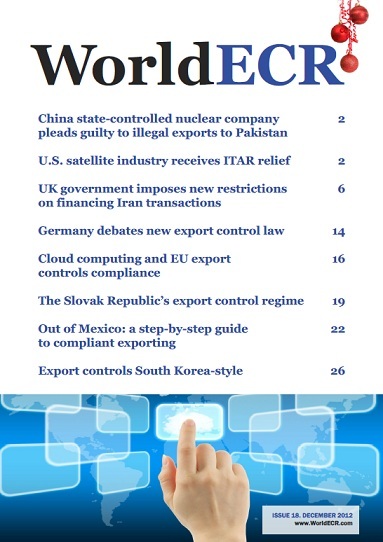 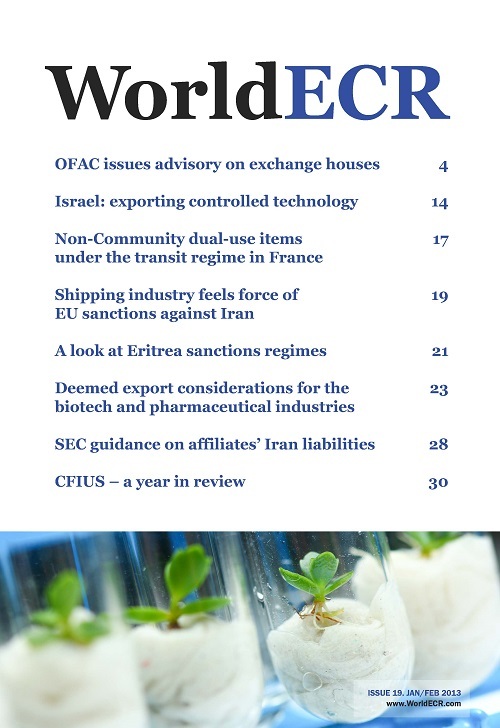 Deemed export considerations for the biotech and pharmaceutical industries; Israel: exporting controlled technology; Non-Community dual-use items under the transit regime in France; Shipping industry..
Germany debates new export control law; Cloud computing and EU export controls compliance; The Slovak Republic’s export control regime; Out of Mexico: a step-by-step guide to compliant exporting;..